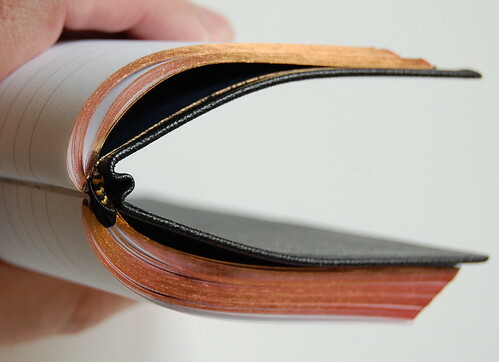 This is the Pocket Journal. It measures 5.75 by 4 inches, has 192 pages, and is bound in Morocco goatskin with a single ribbon marker and art-gilt page edges. 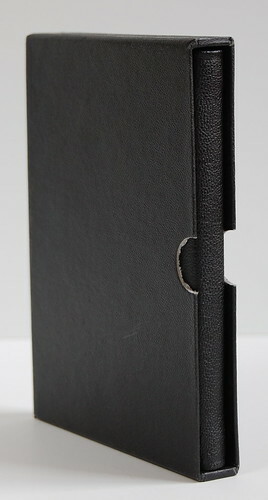 A larger Standard Journal, which measures 7.75 x 5.0625 is also available. 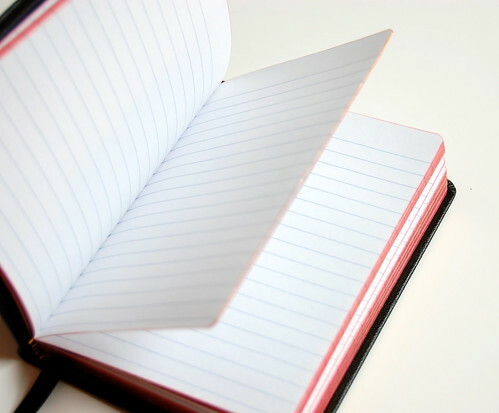 Don't get me wrong, I love Moleskines, but one of the things I can't figure out is why I don't have more Allan's Journals. 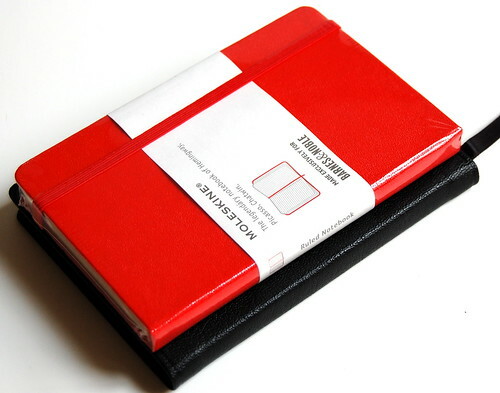 I ordered one and loved it -- but it was so nice I couldn't bring myself to write in it. (Which is good for you, since you get to see the pristine article.) This stockpiling instinct is a habit of mine. When Moleksines were re-introduced in 2001, I bought out every stock of them I could find, figuring something so good couldn't possibly stay on the market. I was wrong, but as a result I have a long-since-paid-for supply of notebooks. 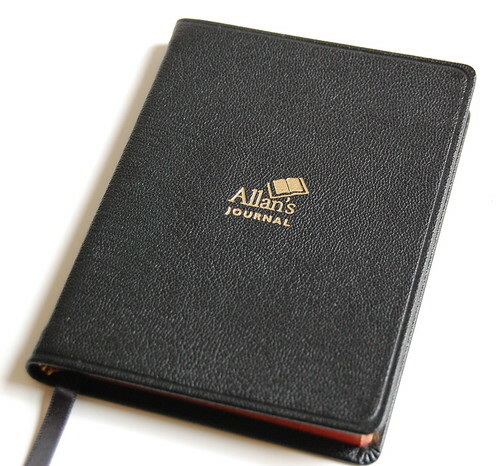 Still, I need some more Allan's Journals. They are splendid, just like the Bibles. The pages are lined, and as I mentioned before, the edges have the red-gold art-gilt treatment familiar from Allan's Bibles. The quality is really impressive. 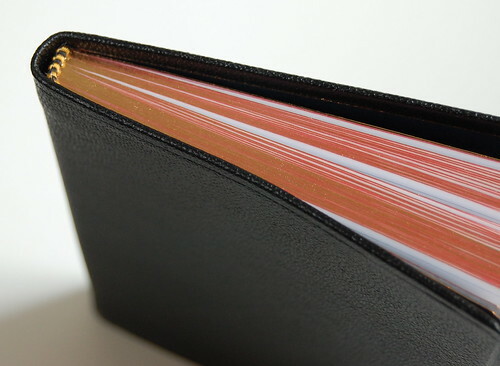 Not long ago, I was at the bookstore looking for leather-bound journals with sewn bindings, since the Moleskine hardback isn't as flexible as I'd like for pocket carry. I had a hard time finding any -- most of the offerings seem to be glued, even when the covers are touted as quality Florentine leather. Then I remembered the Allan's Journal, quietly slipcased on my shelf. "What am I doing?" I said. I already had what I was looking for. 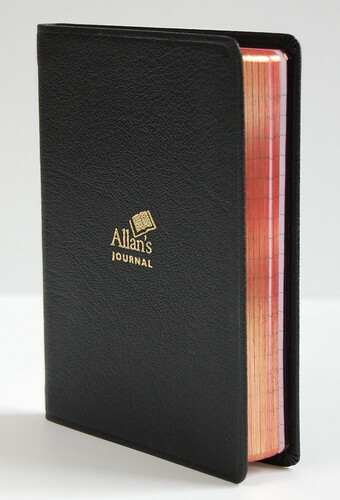 Now I'm not saying we should trade in our Moleskines, but last Friday's post was about what journals go best with our Bibles, and it's hard to imagine a better match than an Allan's Bible with an Allan's Journal. 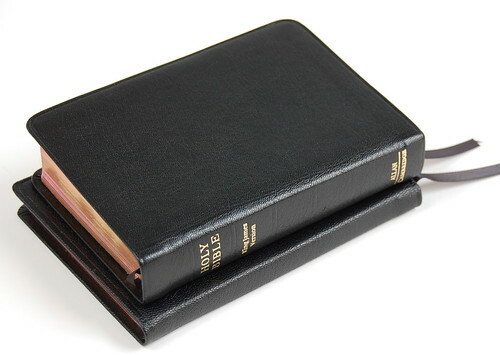 The Standard Journal would be a great match with an Allan's ESV, for example. So next time you place an order with the the glorious ones in Glasgow, maybe you should include a journal or two. That's my plan.